as it brushes the earth’s revolutions. From drenched: selected poems of Susan Cataldo 1979-1999 (Telephone Book, 2003). Used with the permission of the author’s husband, Stephen Spicehandler. Susan Cataldo (1952 - 2001) was born in the Bronx, New York City, and died there of cancer, having spent most of her intervening adult years living in Manhattan' s East Village. In the late seventies she began her close involvement with the Poetry Project at St. Mark? s Church-in-the-Bowery where she first participated in workshops and later taught. 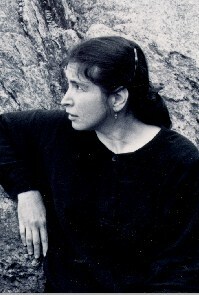 Besides her three books of poems published by Telephone Books (Brooklyn-Queens Day, The Mother Journal and drenched), her poems have appeared in numerous poetry publications as well as in the anthologies Out of This World (edited by Anne Waldman) and Good Poems for Hard Times (edited by Garrison Keillor). This is a subtle and beautiful poem. I am thankful to have had the opportunity to experience it. Like a voice from the past! The first 18 years of my life I lived next door to St. Marks-in-the-Bowery. By the time it had become a venue for young writers, I was long gone from there. The poem itself is wonderful, its associations for me make it even better. Now that I'm writing poetry, it raised a new melancholy. Please bring us more of her poems. Such a gift she was. What a beautiful poem that she wrote anticipating her peaceful passing. Just beautiful. So wonderful that she was able to see miracles in the commonplace and be grateful for them. Many us us never reach the point where we have become that peaceful and that perceptive. Thank you for giving us her eyes and thoughts today.